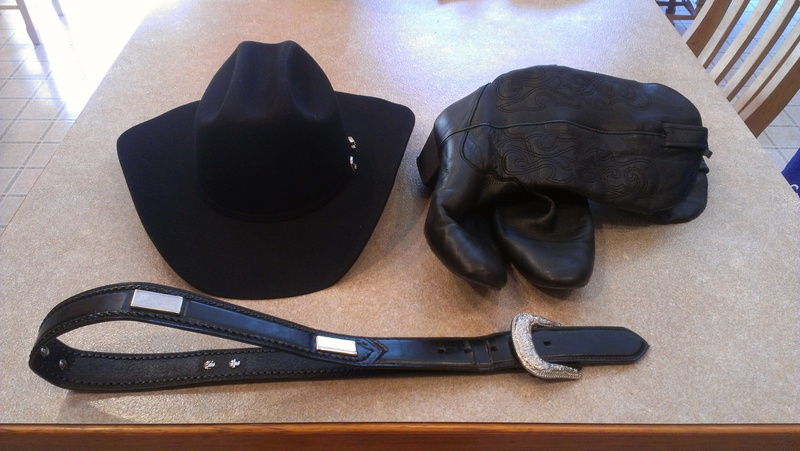 I have decided to add my cowboy hat to the boot and belt so I can complete my wardrobe lol! I post about this because of the passion I have had over the last few years on learning how to dance and compete in this sport. I try to look at this and figure out why I am so taken with it? I do have fun and get tremendous enjoyment out of it and having the chance to playing a “role” so to speak on the day of competition. I will be 49 years old next week and have come to realize as I get older I wonder like others “is this all there is”? I mean this in the sense of working for a corporation, trying to climb a ladder, acquiring things and then realizing this does not mean anything and you do not get any self-worth out of this in the long run. Learning how to dance and compete has given me a new chapter in my life and something positive to focus on instead of the same old drudgery day in and day out. For the most part no one tells you this in your 20’s or if they did I didn’t listen!! I have decided I am not going to sit here and ride out the rest of my life doing the same job everyday and not learning anything new so I will take charge and learn new things on my own. I have recently attended a personal trainer workshop and testing with my next focus on group fitness training. I know one thing, the people who I have met dancing are some of the most positive people I have met and lots of them are over 70 and very active which I really admire. The decision I have made at this point in my life is to hang out with “positive people” and my hat, boot, belt reminds me of this and I encourage anyone not to remain stagnant but do something totally out of character that what you are used to. I know I did, by dressing like a Cowboy!! My momma and her friends think I look like George Strait lol, I don’t know about that but it sure is fun. Me and the cowboy hat have an appointment tomorrow a 1:00! 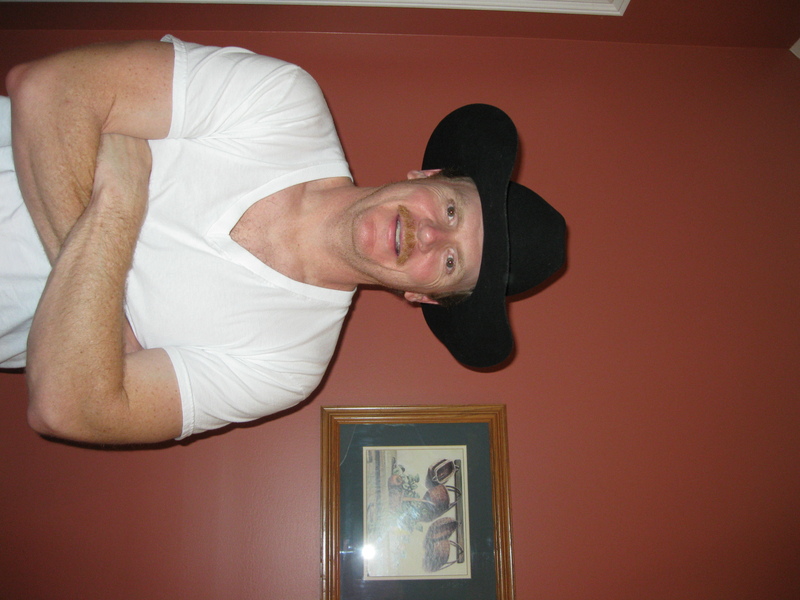 As I post this blog I am a few hours away from leaving for me next dance competition this weekend and donning this cowboy hat that seems to have become part of my life even though I had no idea that it would!! I have posted before how OCD I was about wearing a cowboy hat etc.. so I will not go into that again, but suffice it to say I have become more accustomed to it as part of my dance attire! Anyway, what I wanted to post about is what the “cowboy hat” has helped me to achieve in the personal aspects of my life and goals. I am attending my third competition and have practiced and planned accordingly in hopes of improving my scores. With my last competition I was not satisfied with what I scored so I changed my game plans and prepared differently than my prior two times with more practice and lesson time. At this point I have had positive feed back from my partner and coach that things seem to look better and I am doing some of the necessary things to succeed. I have approached this situation differently than the last two times with the following philosophy: 1)work hard, 2)have a good attitude, 3)listen to the coach. I believe I did those things enough, but maybe not enough I just don’t know. I also recognize that the things I have done differently may not work, or when it comes to show time I could make a mistake and that is just part of it. But what I wanted to say is this; I have set the goals listed above and have tried to the best of my ability to make them happen. I have come to a point in my life that am tired of chasing things like money, promotions in a corporation, and things that do not have meaning in life. As I make this transition from “chasing” these things I find myself to be a more content man and put my efforts into things that have meaning in life. Some may say “how is this dancing give meaning to your life”? I realize “different things have different meanings” for all people, but doing this competitions and learning to dance correctly has helped me interact with people I would have never made a connection with and this gives me satisfaction that maybe my actions or words have influenced someone in a positive way. What I am doing with “my hobby” if you want to call it is give me a more balanced life and help take the stress away from the corporate world and for that I am thankful. Because and the end of my life I will not be saying “wished I had worked more nights and weekend”!! I don’t plan on having any regrets and the end but I might wished I had taken dancing up sooner as it has given me an excitement for life that I haven’t had in a long time. So if you take anything away from my post is to find something other than the everyday mundane things of life and do something that gives you excitement and joy in your life!! Don’t sit around and wait!! Take action and enjoy the life you have because none of us know when it will be over! What makes me dress up like a Cowboy! I decided to go ahead and post the photo above that I am going to talk about so hopefully what I have to say makes sense. This was the second dance competition I had competed in and the first wearing this ht and clothes. You must know what a change it was for me to even put a “cowboy hat” on my head!! It was just an adjustment for me and a personal hurdle that I had to overcome which I did! I had observed during my first competition the other male competitors wearing a black cowboy hat, black shirt, black pants and boots. During the final stages of my preparation I finally decided I was going to do this a play the part for this particular dance competition. Some might say “what is the big deal”? and all I will say is that most of the time I do not get out of my comfort zone and I have decided that it is about time that I do!! The competition was a few weeks ago on a Saturday afternoon and put on my “outfit” and went down to the ballroom ready for competition! I danced in six different events and did not knock off the cowboy hat one time!! That was a feat in itself!! After it was over I was so pumped up and had so much fun that I hated for it to end! I was asking myself “why did I seem to have more fun this year than last year”? It dawned on me that not only was I participating in the dance competition but that I played the part as well by dressing up like a “dancing cowboy”! This may sound corny, but with the everyday drudgery of life, sometimes it is good to play another role completely different from the person that you are in real life. Playing this role and putting on this outfit is totally different for me and has been a positive influence on my life. Sometimes you need to do other things in order to get your mind thinking in a different direction instead of the same thing everyday; get up, eat breakfast, go to work, come home, eat dinner, go to bed and get up and start it all over again the next day. Even though I do not know what they are right now, I believe this has opened my eyes to other possibilities in life and to try new things. I have decided I am not going to sit around and let time pass by wishing I had tried something or be afraid to change and as I like to say “there are always possibilities”. 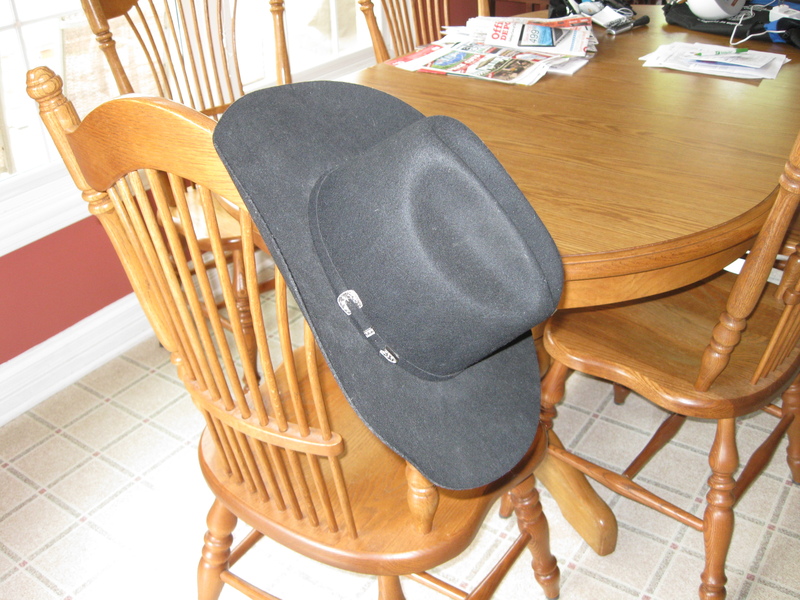 This has been a positive change for me and as I type this post the “cowboy hat” is hanging on the chair post as a reminder to me of what I have overcome. For those who care if you look in the photo I do not have “cowboy boots” on! I only mention this because this is the final hurdle I will overcome as I purchase a pair this year to complete my “dancing cowboy outfit”!! I am having a blast!! And by the way.. that is my sweetheart in the picture with me!! My Cowboy Hat doesn’t fit! As you can tell from most of my blog it is about politics and current events but the reason I name it “neubworthynotes” is so I can post about other things when I feel like it and this day is one of them. The title of my post may be weird to some but you must understand that wearing anything that has to do with cowboy, western, or country stuff is just not my style. I am in no way criticizing those who like these things it just wasn’t for me. Anyway, I have been taking dance lessons which started with some ballroom and country-western and I seemed to gravitate toward the country. The music was lively and the dancing I liked to do fit with the music. I go to the local honky-tonk with my wife to take a lesson and practice and even in this setting I do not wear the typical “cowboy gear”. 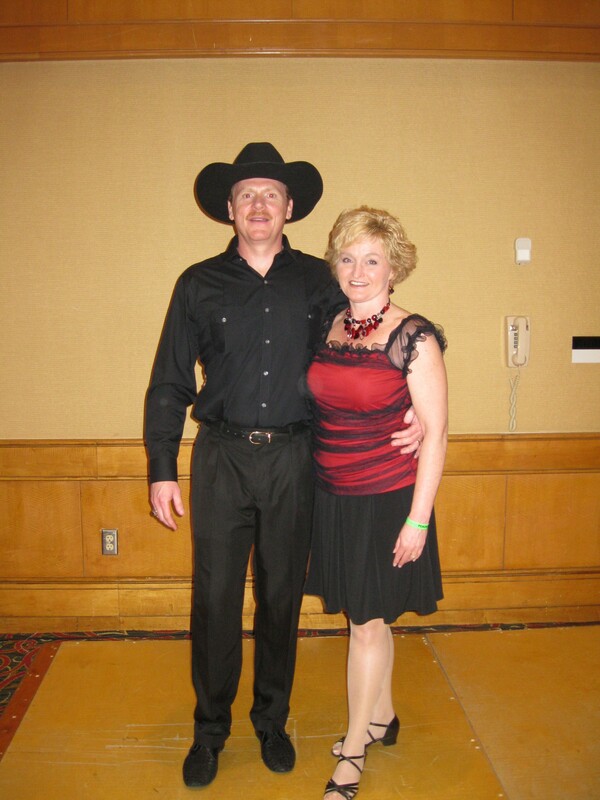 Last year we participated in a dance competition put on by a country-western dance 0rganization and at this event we were not required to wear country-western gear as this was out first time, however many did so. As 2010 progressed I decided that I would breakdown and get a cowboy hat to practice in and wear to my next competition. It just so happens my brother in law had a stetson that he let me have so for the past few weeks I have been wearing it to my dance practice! As I stated above this is a big stretch for me, but decided that in order to achieve the goals I have set in this particular area of my life then I needed to play the part. Obviously, the next “piece of equipment” I need is cowboy boots!! This is even a bigger leap for me but I as I stated in the last sentence sometimes you have to “play the part” in order to achieve your goals. I post this story to show that none of us should take ourselves to seriously. Why do I care if someone has never seen me in a Cowboy Hat and wants to make fun or laugh at me! I have set a goal that I want to reach and that is to be the best dancer I can and if I can get into that role by wearing a cowboy hat and boots then so be it! To top it off I have been listening to country music too!! To me this is one of the positives of getting older in life is that you care less about trying to impress others and forge ahead with the things that are positive in life and wearing the “cowboy hat” at this stage in life is very positive for me!! Me and the Cowboy Hat! 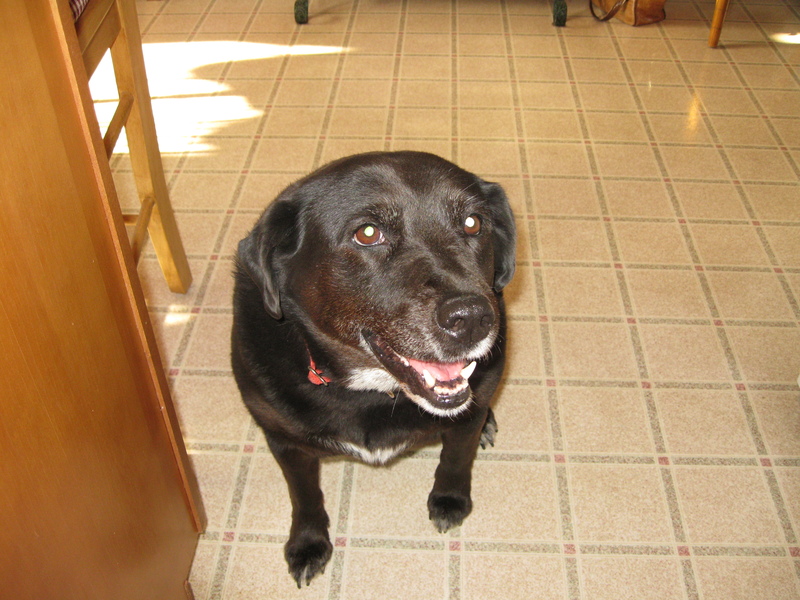 Right after thanksgiving my dog molly was moping around the house with her tail between her legs and in pain. She started vomiting on Friday and this lasted through the weekend so I decided to take her to the Veterinary on Monday. She was examined and diagnosed with pancreatitis so she was kept at the hospital for a few days and I picked her up today and she looked much better and is now on a restrictive diet. I post about this for several reasons and wanted to share with everyone. Molly is 11 1/2 year lab mix so she is getting to the end of her life, but I felt that I owed it to her to find out what was wrong and give her a chance. I thought about all the joy she has brought to our family and all the things she does when I ask, like when I say “sic’em” about the rabbits in the backyard or when a bug is crawling in the house I will say ” get it Molly” and she does and gets a treat. The bill was over $300 and during this economy and Christmas right around the corner it was not a good time for this but she deserved to have a chance and I don’t regret giving it to her. Secondly, some may ask… What caused the pancreatitis and I can tell you that it was probably from the neighbor. I mentioned this in a post long ago about the neighbor feeding her frozen blocks of hamburger and turkey carcases. I have told them this is not good for her so this weekend before I went to the vet I called to inform of the situation and to please stop doing this as this is not fair to her plus costs me a lot of money. Anyway, all is well tonight and Molly is home sitting at my feet while I post this blog. I know she is just a dog but somehow I think they know more than we give them credit for and I know she wanted us to help her and we did. With anything in life I always like to say I did all that I could in a particular situation and know that I can sleep at night because I did.